I created this vegan caramel sauce to accompany my no yeast gluten free cinnamon rolls. It is actually quite similar to my easy and healthy chocolate sauce, but uses light coloured superfood powders instead of cocoa and carob. Check the consistency from a short video further down! 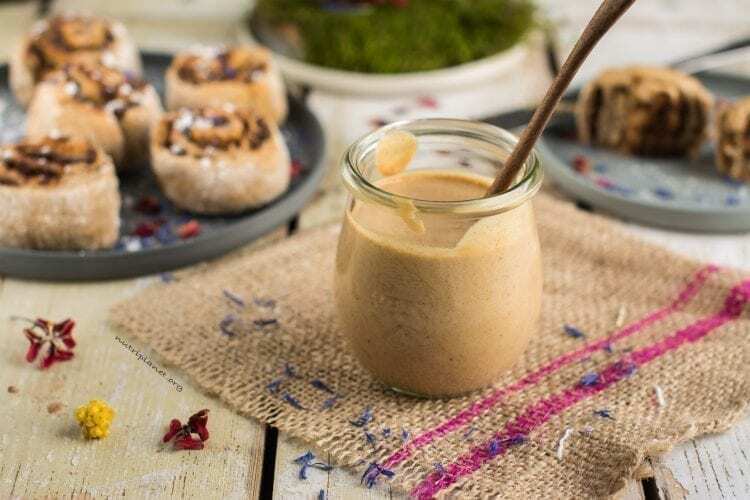 The secret ingredient for the caramel taste is mesquite powder, which may sound a bit fancy and scary, but once you have it in your pantry, it’ll last and you have a very versatile as well as healthy ingredient to sweeten your desserts. The same goes for baobab powder, the other superfood ingredient in my vegan caramel sauce recipe. 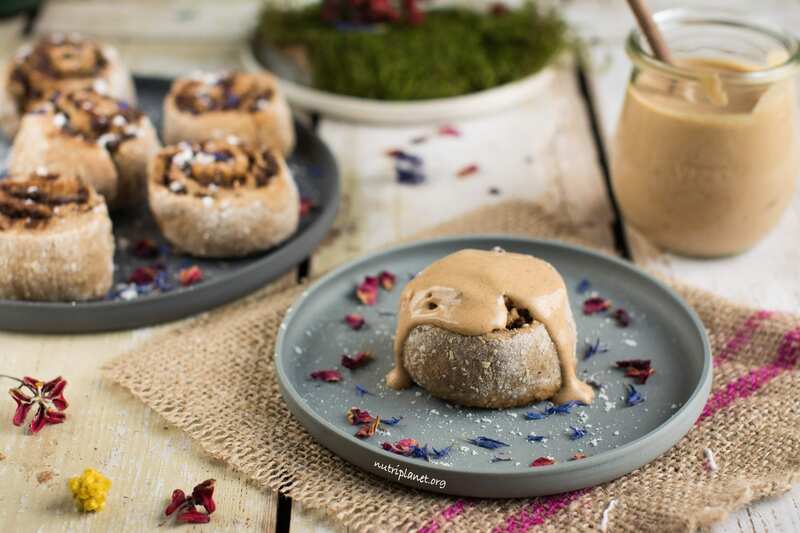 If you have never tried it, I can tell you it tastes kind of sour-sweet and is loaded with vitamin C. Furthermore, baobab powder is a very good blood sugar balancer making it a perfect choice for those on Candida diet or for people struggling with blood sugar fluctuations. So yummy with cinnamon rolls! 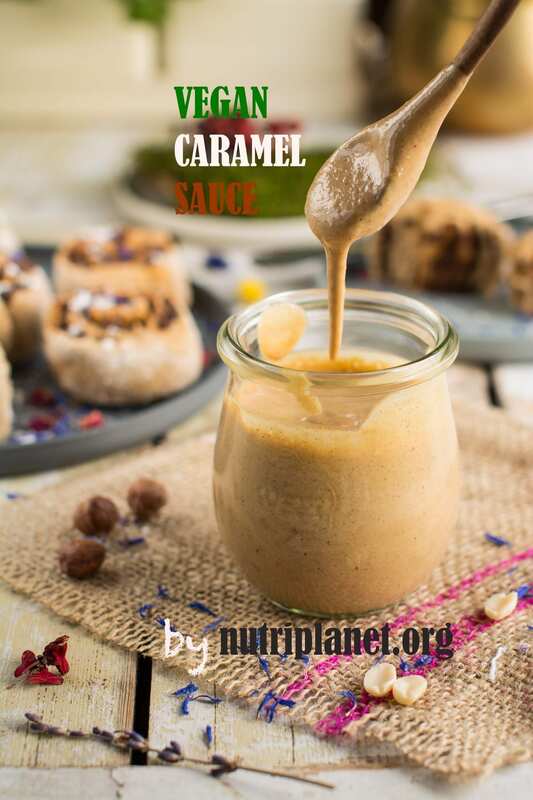 How to use my vegan caramel sauce? Finally, I’d love to hear from you if you try this caramel sauce! So, please leave me a comment below or tag me in social media when you share your version. Enjoy dears! Place all ingredients into blender or beaker (if you use immersion blender) and process until you have a smooth and homogeneous sauce. Store in a sealed jar or container in fridge for up to 5 days. You can use any nut butter you like (almond, hazelnut etc.). Instead of oat milk you can use any other plant milk. However, should you use a milk that is not naturally sweet or sweetened, you might need to add a sweetener of choice. 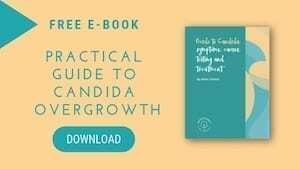 For example, you can go for agave, coconut nectar/sugar, or xylitol (if you are on Candida diet). You could substitute mesquite with lucuma powder, but the latter isn’t as caramelly as mesquite. Should you tolerate coconut nectar or sugar well, use either of those for caramel taste (given that you can’t get your hands on mesquite powder). Check what the consistency is like!